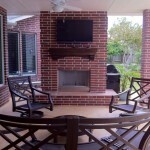 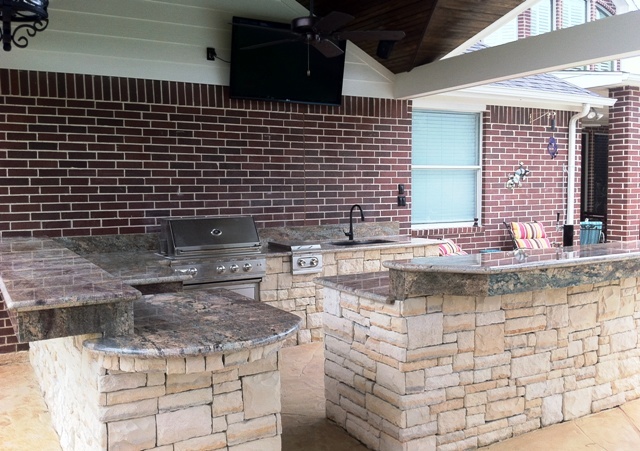 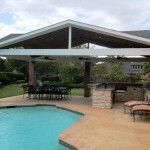 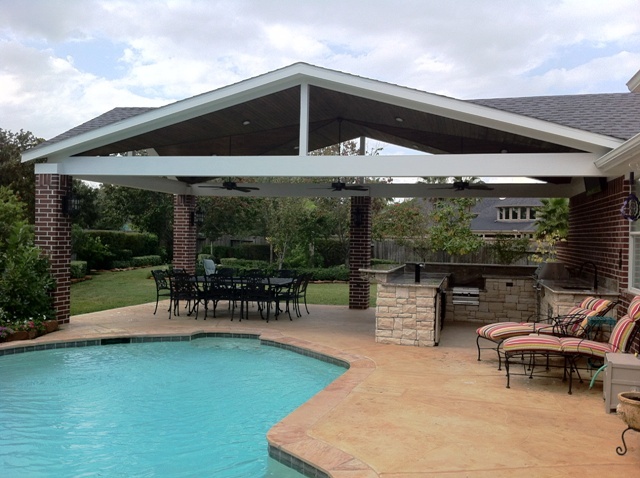 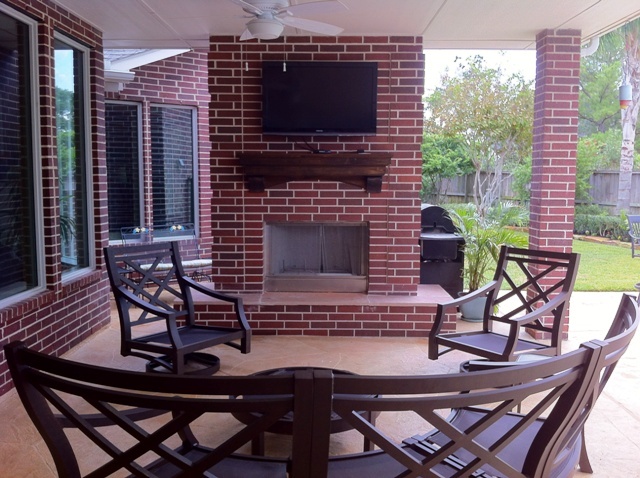 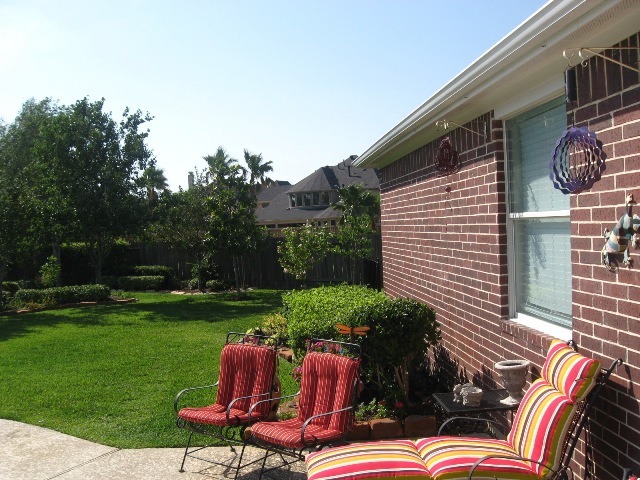 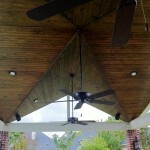 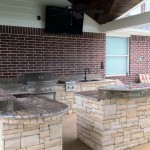 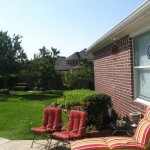 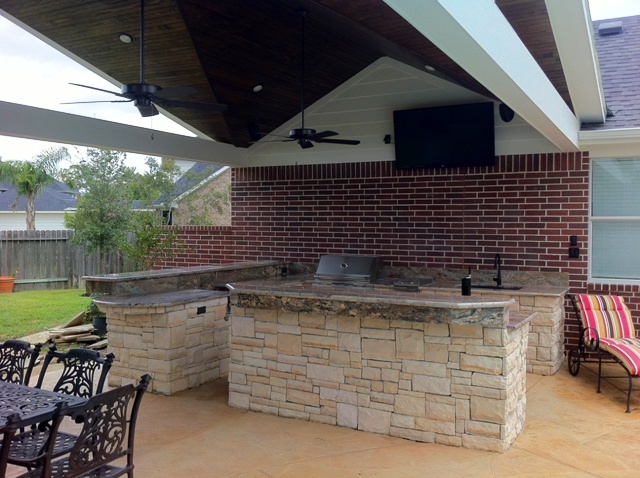 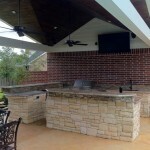 Here is another Beautiful Outdoor Living Space that was just completed. 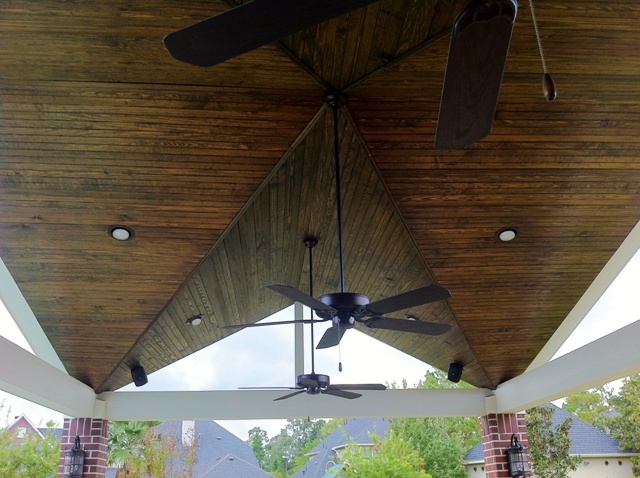 Pay special attention to the amazing roof on this structure! 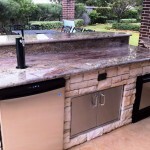 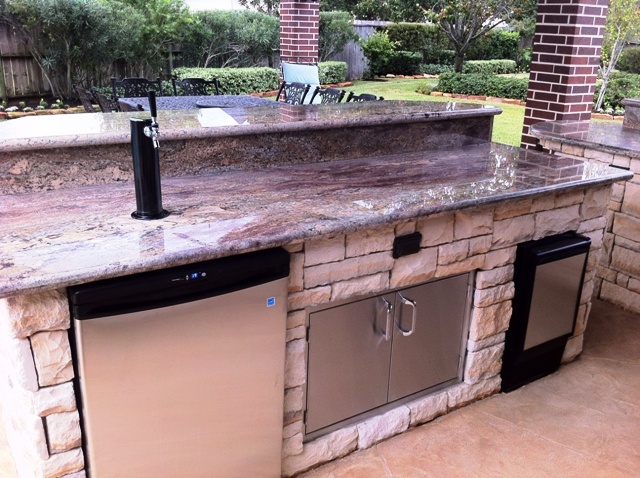 And their outdoor kitchen has it all: Double Burner, Power Burner, Grill and Wet Bar complete with a Kegerator and Ice Maker!